Simulators are great classrooms… they are less noisy, they don’t run on expensive avgas, they never make you line up and wait to be sixth in line for takeoff, they have a pause button and allow you to repetitively practice and hone your flying skills. Simulators are the best place to learn to fly. Airplanes are the best place to demonstrate what you’ve learned. As more and more pilots discover the advantages of incorporating simulator training into their flight training journey, it can become difficult to know how to best record this type of training in your logbook, especially if it’s not an electronic logbook with infinite blank columns and auto calculations to break everything down. Below are answers to three frequently asked questions. To start, let’s talk about simulators from the FAA perspective. Not all “simulators” are created equal. The FAA has very distinct terms and definitions that can get a little confusing. The main categories are full flight simulators (FFS), flight training devices (FTD), and aviation training devices (ATD). Typically, unless you are training at a place with multi-million dollar simulators, like Flight Safety or CAE and earning a jet type rating, you probably won’t have much access to a full flight simulator as defined by the FAA. Most flight schools and universities are equipped with ATDs. ATDs fall into one of two categories – basic (BATD) or advanced (AATD). Does training in an ATD count towards my total time? ATD time is ATD time, so you should not count it (or log it) in a way that makes it look like you've turned it into time flying an airplane or PIC time. Not ever. But for many certificates and ratings, you can credit a certain amount of ATD time and count it towards your aeronautical experience. 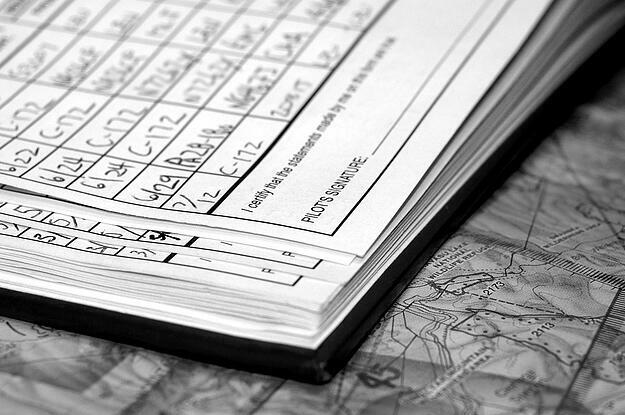 You will need to record that training time in your logbook. We recommend designating a column or columns in your logbook for simulation time and label them according to the type of device, for example, "BATD" or "AATD". Enter the simulation time in the appropriate column and any other applicable columns, such as simulated instrument, along with the date, time, device identification and remarks. Having separate columns like this can save frustration when it comes to your check ride and you need to break it all out to verify requirements and fill out IACRA. As a flight instructor, can I log “instruction given” when teaching in an ATD? When teaching in an ATD, you may log instruction given in your logbook. However, we recommend separating it out from your “flight instruction given”. And even though you are logging instruction time, instruction time in the ATD should not be included in your total flight or PIC time. If I am performing instrument approaches to maintain my currency per FAR 61.57(c), do I need an instructor present? Yes, FAR 61.51(g)(4) says that in order to meet the instrument experience requirements of FAR 61.57(c), an authorized instructor must be present to observe and sign the person’s logbook to “verify the time and the content of the training session”.